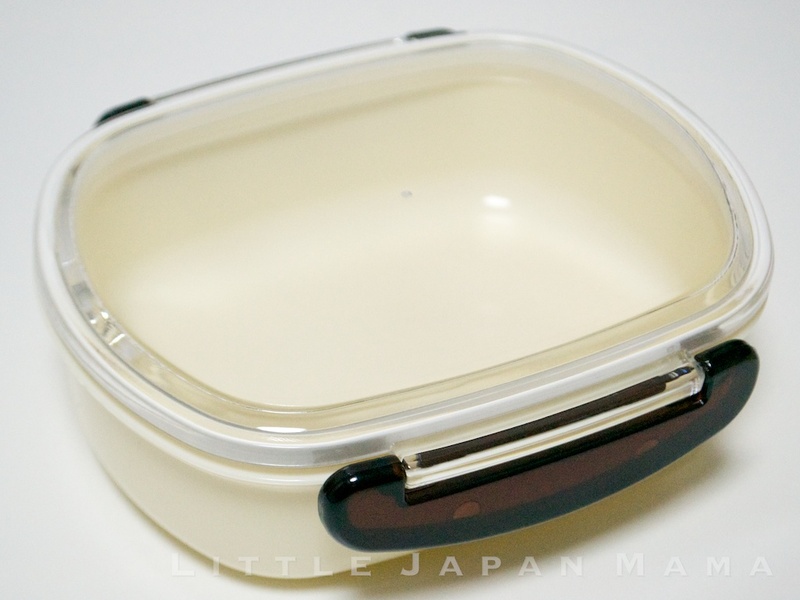 This is a quality Japanese-made bento box. 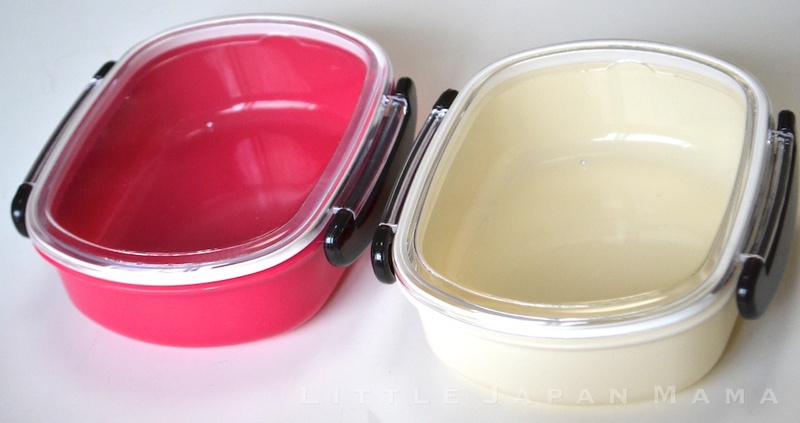 I recommend this one if you want to do cute deco-ben (decoration bento) as it is relatively spacious and single-tier. ...Well, that's the idea of the transparent top! 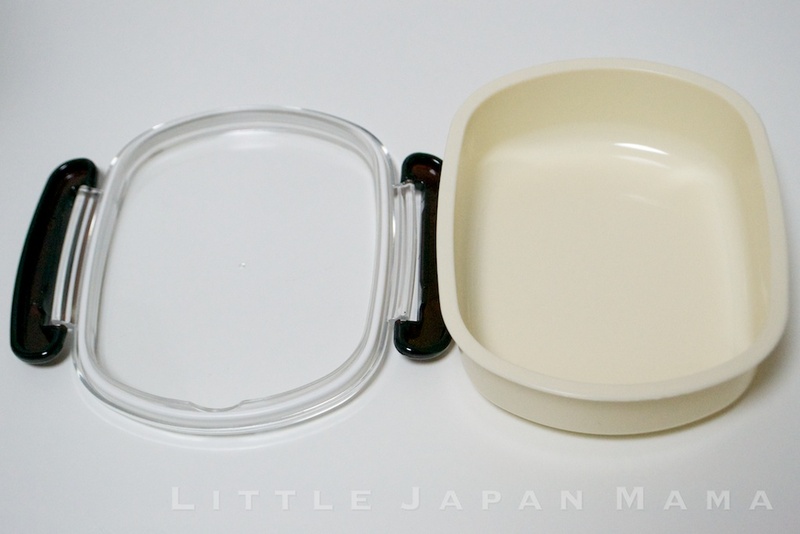 Holding 480ml in the container plus around 100ml extra space under the lid, it has room for even an adult bento. The removable silicone seal on the lid helps prevent spills, and when the lid is off, the base is an attractive dish with a flat lip. 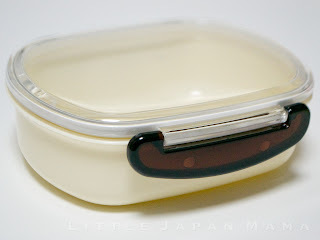 That's just one of the details that makes it a "bento box", different to your average plastic container. As well as this, the base edges are rounded, which makes it easy to scoop out food with your chopsticks, and also makes it easier to clean thoroughly, making it more hygienic. Sure, Diane, I'll get some and add it to the paypal button tomorrow! Of course, it'll be the same price as the others.